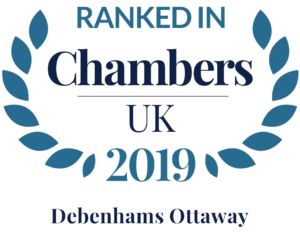 Even if there isn’t a relevant vacancy listed, we’d really like to hear from you if you think you have the right skills along with the energy and imagination to be part of the Debenhams Ottaway team. Whether you are a lawyer, paralegal or provide secretarial or business support, please get in touch. We are currently looking for a compliance manager to join our practice support team, providing assistance and guidance to the risk group and the wider firm in connection with the firm's management of overall risk. We are looking for an experienced lawyer/legal executive to join our established commercial property team and work on a varied case load of all aspects of commercial property matters, including landlord & tenant, purchases and sales and development. We are looking for a legal assistant to join our business services team, the role will involve providing administrative and fee earning assistance on a varied case load of employment and company/commercial matters. We are looking for an experienced solicitor to join our growing dispute resolution team to work on a varied case load of all aspects of commercial disputes. We are looking for a senior lawyer to join our renowned private client team and develop the private client offering in our St Albans office. The role will involve supervising and managing staff and contributing to business development initiatives.